Orchestra with Actors: UNCSA presents "GOOD"
WINSTON-SALEM – A man at his worst, rationalizing bad decisions and less-than-admirable motives, is examined in Cecil Philip Taylor’s Good, presented by the School of Drama and the School of Music at the University of North Carolina School of the Arts (UNCSA). Performances are at 7:30 p.m. Nov. 12-14 and 2 pm Nov. 14 in Catawba Theatre of Performance Place on the UNCSA campus at 1533 South Main St. in Winston-Salem. Drama faculty member and UNCSA alumnus Quin Gordon directs actors from Studio III, the junior class, and UNCSA Symphony Music Director Christopher James Lees conducts a 20-piece orchestra. Quin Gordon directs Good, presented by the School of Drama and the School of Music at UNCSA. Tickets are $18 regular and $15 student with valid ID, and are available at www.UNCSAevents.com, or by calling the box office at 336-721-1945. Halder, like his colleagues in Adolf Hitler’s Third Reich, makes decisions that result in the mass extermination of Jews. For Gordon and his cast, the play has been a lesson in the power of hate as a political strategy. “Hitler was able to overtake an entire country by tapping into people’s baser instincts,” Gordon said. The protagonist, Halder, uses his love of music to escape from the madness happening around him, and his part in it. “When we hear the music on stage, we are hearing Halder’s internal experience. Through the music, we begin to identify with Halder,” Gordon said. Live music both advances the story and gives the play its formal structure, which Gordon calls incredibly fractured. “It sweeps us through a quick succession of scenes that bounce us around in time, similar to the non-linear nature of memory,” he said. “The play drops us right in the middle of John Halder’s brain and the regrets that haunt him,” Gordon added. In the play’s shattering final scene, Halder comes face to face with the horror of the Holocaust, and not even his love of music can help him escape. Celebrating its 50th anniversary, the University of North Carolina School of the Arts is America’s first state-supported arts school, a unique stand-alone public university of arts conservatories. 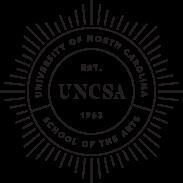 With a high school component, UNCSA is a degree-granting institution that trains young people of talent in dance, design and production, drama, filmmaking, and music. Established by the N.C. General Assembly in 1963, the School of the Arts opened in Winston-Salem (“The City of Arts and Innovation”) in 1965 and became part of the University of North Carolina system when it was formed in 1972. For more information, visit www.uncsa.edu.